K’at represents the net that brings together and stores the elements that can help us face the obstacles that may come with life. 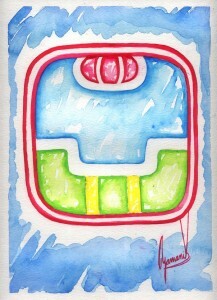 Number 12 gives us the energy to materialize our dreams. Use the power of this number to ignite a passion for what you do, together with the tools provided by K’at you will be able to catch everything that you need to shine with your talent.